Born in Paris in December of 1854, Eugene Galien-Laloue is recognized as one of the top masters of French impressionist street scenes. 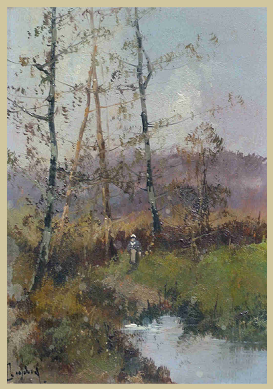 During the early part of his career as an artist Galien-Laloue took on several pseudonyms because of an exclusive contract with a major gallery. These pseudonyms included L. Dupuy, J. Lievin, Lenoir and E. Galiany, all of which are listed in the E. Benezit Dictionnaire des Peintres, Sculpteurs, Dessinateurs et Graveurs and the Laloue Catalogue. Working in gouache with light, delicate strokes, Galien-Laloue had the uncanny ability to give the illusion of detail in an impressionistic style. Well-known in France, his paintings of the early 1900's accurately represent the era in which he lived - Paris' happy, bustling days of horse-drawn carriages, trolley cars and its first omnibuses. A typical Galien-Laloue painting depicted scenes of Parisian sidewalks and avenues crowded with people or turn-of-the-century tourists mingling before the capital's monuments. 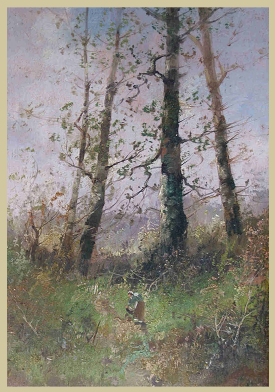 In addition, the artist's landscapes of Normandy and Seine-et-Marne are highly esteemed, as well as the military scenes he produced in 1914. 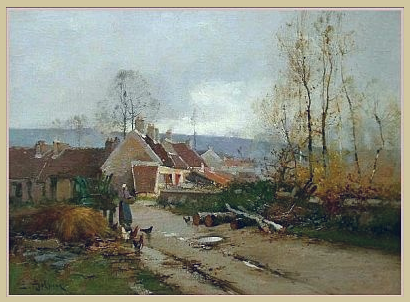 Indeed, Galien-Laloue's works are valued not only for their contribution to 20th century art, but for the actual history, which they document. 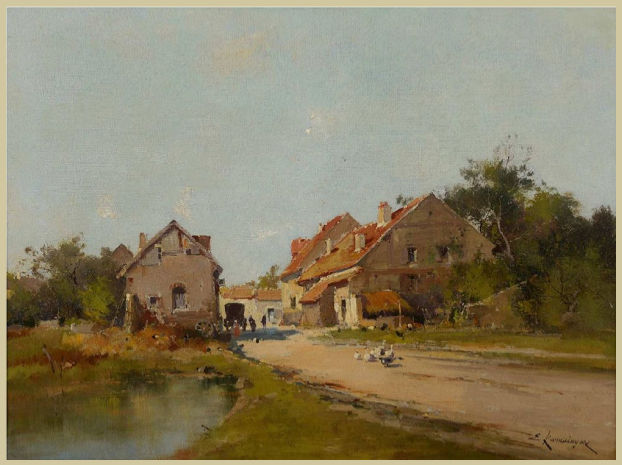 A forerunner in popularizing the painting of street scenes, Galien-Laloue has inspired and influenced many of yesterday's and today's artists, including renowned French impressionists Edouard Cortes and Antoine Blanchard.